Mix & Match Brazilian Bikini - CAJUZINHO. Mix and match and find your perfect combination! Make your own unique bikini set and choose sizes, cuts, colors and prints! Great choice, finest quality and newest trends ? 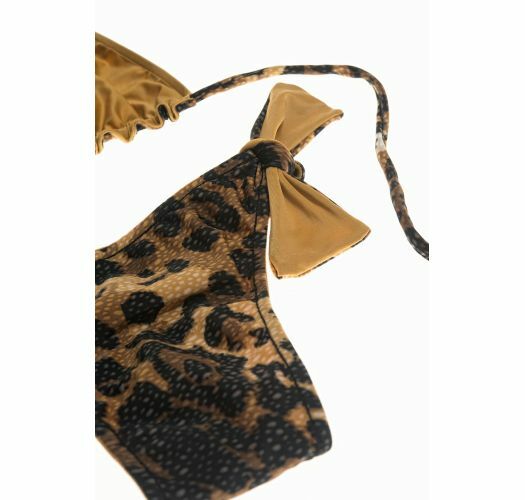 this and much more you will find only on Brazilian Bikini Shop! 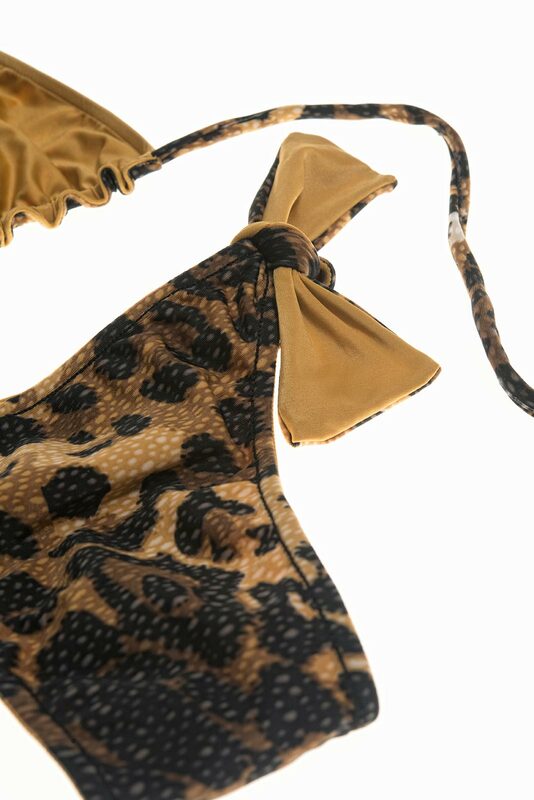 Low Brazilian cut jungle print bikini with modified halter top--amazing in humidity. Create four different looks to fit your mood with this gorgeous convertible Brazilian bikini by Rio de Sol. Mix and match the reversible top and side-tie bottom for a fun new look every time you wear it. With the Cajuzinho, you can go glamorous in a mesmerizing solid gold or wild in an enticing animal print. Halter top is not padded for extra comfort and a custom fit. Both pieces are fully lined to prevent embarrassing see-through moments when wet.